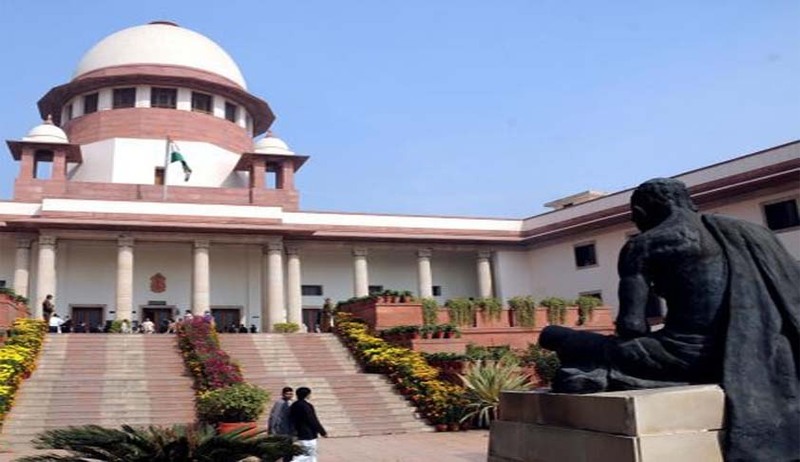 The three-judge bench of the Supreme Court comprising Justices Ranjan Gogoi, Prafulla C Pant and A.M.Khanwilkar, today referred to a five-Judge Constitution bench, the question whether the Apex Court is exempted from disclosing how it appointed its Judges under the Right to Information Act. The bench was reportedly of the view that a substantial question of law is involved, which requires it to be heard by a five-Judge bench. Under Article 145(3) of the Constitution, the minimum number of Judges who are to sit for the purpose of deciding any case involving a substantial question of law as to the interpretation of this Constitution or for the purpose of hearing any reference under Article 143 shall be five. The hearing of the case today witnessed a disagreement of sorts between the bench and Prashant Bhushan, counsel for the respondent, Subhash Chandra Agarwal. The Central Public Information Officer, Supreme Court of India and all the high courts are appellants in the case. The disagreement was whether a substantial question of law, as mentioned in Article 145(3) of the Constitution not only arises in this case, but also remains to be decided by a Constitution bench. Prashant Bhushan agreed that a substantial question of law is involved in the case, but he argued it has already been decided by a seven-Judge bench in the S.P.Gupta case (First Judges case) in 1981. The bench, appears to have disagreed with this view. Prashant Bhushan was also concerned with the inordinate delay in hearing of this case, which was earlier referred to this three-Judge bench, by a bench of two Judges on November 26, 2010. But his remark that the Judiciary is reluctant to ensure full transparency about itself, while applying the same yardstick to the other branches of the government including legislators, irked the bench, which asked him whether he sought early hearing of the case, after it was last listed in 2015. The then Attorney General, G.E.Vahanvati, had submitted before the bench that disclosure of the information sought for by the respondent cannot be furnished in public interest. “It is in the public interest to keep the appointment and transfer from “needless intrusions by strangers and busybodies in the functioning of the judiciary”. On November 24, 2009, the Central Information Commission, had allowed the appeal preferred by Agrawal, directing the CPIO, Supreme Court of India, to furnish information as sought by him. Agrawal had requested the CPIO to send him a copy of complete files, inclusive of copies of complete correspondence exchanged between concerned constitutional authorities with file notings relating to the appointment of the former chief justices of India, HL Dattu, and R.M.Lodha, and Justice A.K. Ganguly. The CPIO informed Agrawal that the information sought by him is “neither maintained nor available in the Registry”. The Appellate Authority dismissed Agrawal’s appeal, and confirmed the order of the CPIO. The CIC then set aside the orders passed by the authorities. The CIC had relied on the Supreme Court’s judgment in the S.P.Gupta case.